NetEnt is a big name in the field of digital entertainment. The online gaming slots developed by NetEnt are no doubt one of the best available slots. 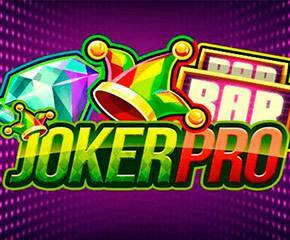 Joker Pro slots is one such fast-paced game with easy gameplay. If you are looking for a simple gambling session with satisfactory graphics, this online slot will be the perfect option. This is a medium variance game with bright and colourful reels sporting an amazing soundtrack. Joker Pro slots is a 5 reel, 3 row game with 10 paylines. This provides a really simplistic feel. The screen will give you the experiences of mid 80s disco nights, as they glow purple with the sparkling lights. Even the soundtrack in the background is upbeat and fast. The symbols adorned on the reels are diamonds, bars, bells, horseshoes, red 7s, and 4-leaf clovers, with diamond as the highest value symbol. 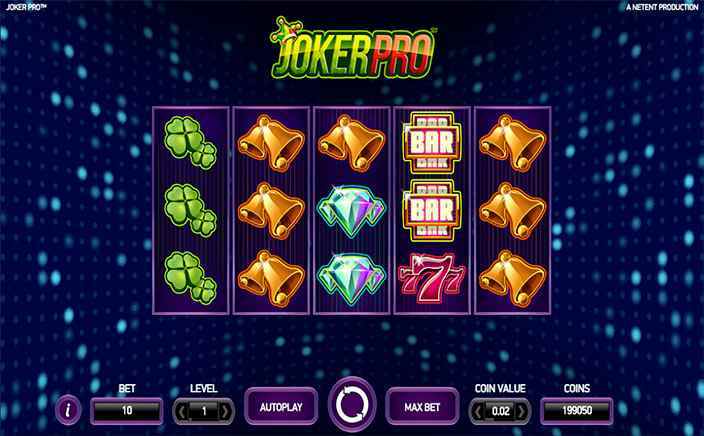 Joker Pro slots is available on desktops, mobiles and tablets. The betting amount varies from 0.1 to a maximum of £100 per spin. The slot game delivers a huge jackpot of 200 coins. The maximum win in a single bet line is 2000. Apart from a traditional approach to the online gaming, there is also provision for bonuses in the slot. The most exciting feature is Joker Pro re-spins. The scatter in the base game is a joker hat symbol. To trigger the feature of re-spins, 1 or more scatters must land on reels 2, 3 and 4. The symbols used to trigger the re-spins feature also turn wild and these remain on the reels. The wild symbol for the slot is represented by a logo with wild written on it. It acts as any other wild symbol and replaces all other symbols except the scatter. If 3 wild symbols land in the hot spot positions, the player will win 1,000 times the stake amount. The slot game ensures better chances for big wins. It is one of the most suitable fast running casino game for the beginners as the payout is very high. Being a medium variance slot game, it is appropriate for all kind of players.